A UNESCO World Heritage Park, it is located in the St. Paul mountain range and bordered by the St. Paul Bay. 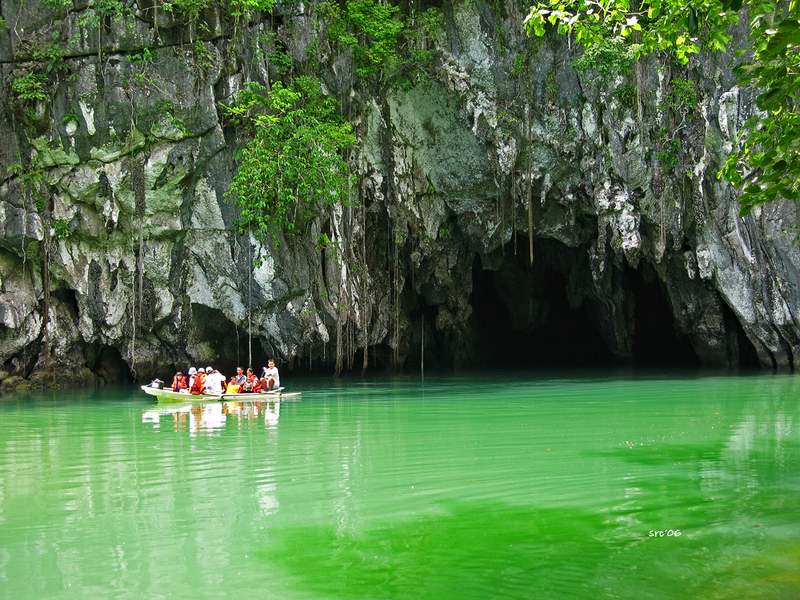 An 8.2km navigable underground river that showcases awesome stalagmites and stalactites and large chambers. The area also features unique flora and fauna as it has 8 of the most important forests in Asia. One can trek from the jump-off area via the 5.2km monkey trail to the site and marvel at the diverse flora, fauna, beach coves along the way. Watch out for the aggressive monkeys though, they grab at anything in a plastic bag. Update: If you wish to visit this place, book your trip at least a month ahead via a local travel agent or your hotel in Puerto Princesa. The local government is now limiting the number of visitors per day. Walking in may disappoint you as chances of seeing it may be slim since you have to wait for "no-shows" to get a slot. 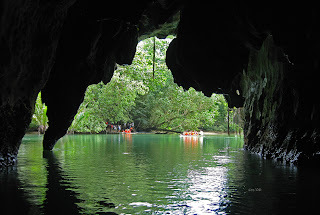 How to get there: From Puerto Princesa, most accommodations can arrange for a day trip to the underground river. Charges range from P1,500-P1,800 inclusive of lunch, transportation and entrance and boat ride inside the park. 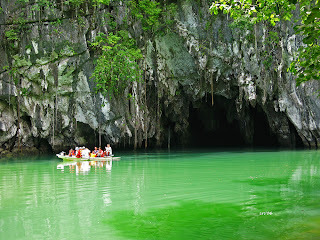 A must do when in Puerto Princesa. 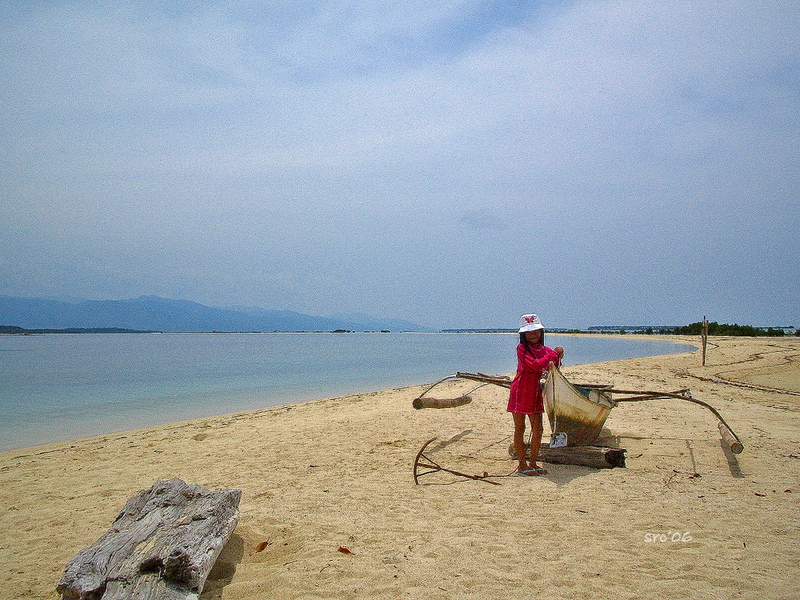 Honda Bay has several islands to offer including the most popular and the longest, Snake Island. Secluded and uninhabited except for the caretakers. All white sand beaches, emerald green to blue seas and snorkelling haven. Or most accommodations can make arrangements for a day trip to Honda Bay. Cost may vary from P1,200-1,500 inclusive of lunch, boat, and island hopping activities. Just like the other group of islands, El Nido is best explored by boat. Island hopping galore. About 50 white sand islands to explore along Bacuit Bay, you need at least a week in this place to fully appreciate it. I have been to this place several years ago and it has, hands down, won my heart vs. the more famous Boracay. 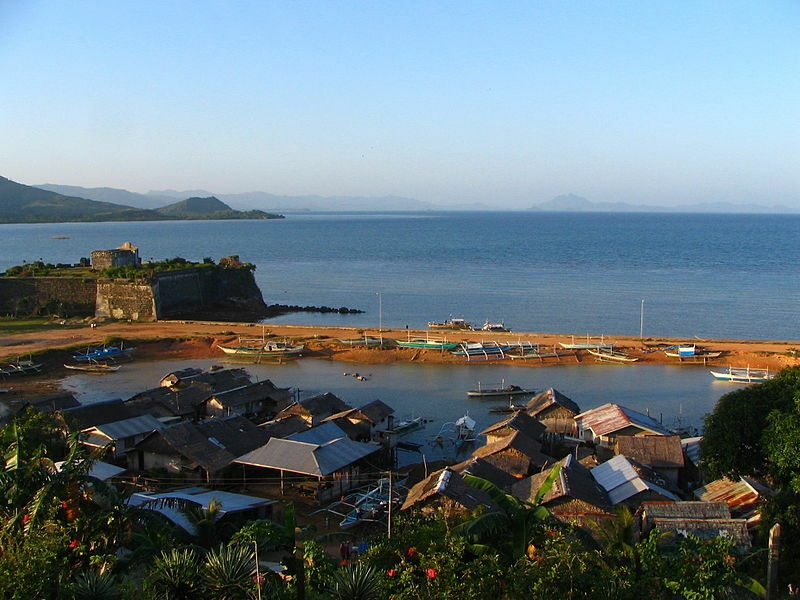 It is bordered by Linapacan Straits, Sulu Sea and South China Sea. El Nido, having one of the country's diverse ecosystem, is protected for its unique flora and fauna, its pristine geologic formations---the limestone cliffs, its white sand beaches, its forests and marine habitats including several species of birds and marine mammals that are endangered. The boat association in El Nido town has several tours to choose from depending on the islands you want to explore. All secluded..all unspoilt...all to yourself for several hours or for the whole day. In addition, there are other things to do in El Nido: scuba diving, cliff climbing, cave exploration and visiting its many waterfalls. 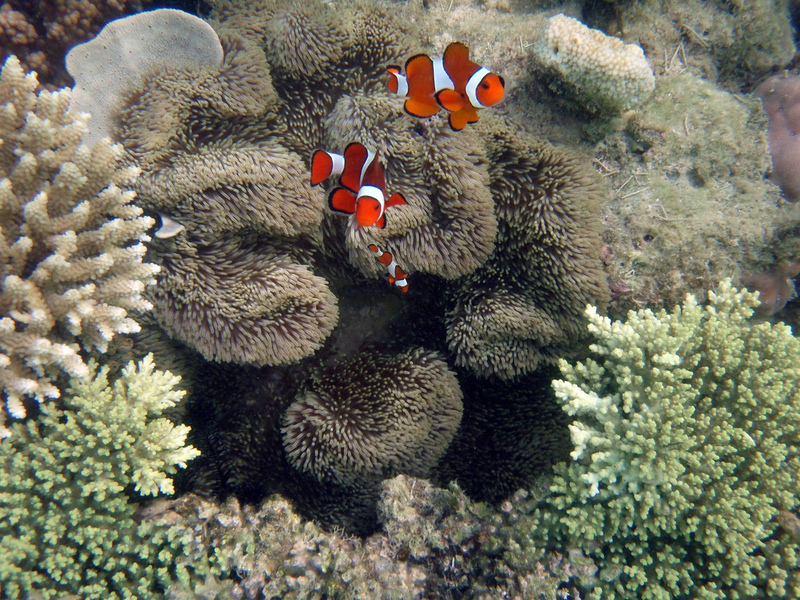 El Nido has several high-end resorts in its islands were access is exclusive to guests. Cheaper accommodations can be had at El Nido town. How to get there: There are flights to El Nido from Manila. 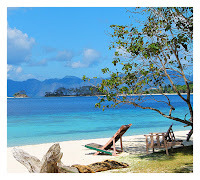 Check out Island Transvoyager (Island Transvoyager). Or you may take the flight to Puerto Princesa but will take you several hours by land to reach El Nido. 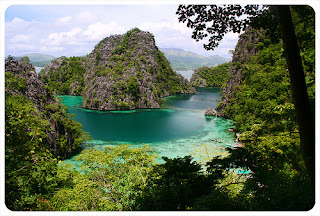 I have been to Busuanga/Coron several years ago. But it was confined to Club Paradise and a visit to Caluit. A return trip is definitely a must do as this area in Palawan is equally blessed with natural beauty. Part of the Calamianes group of islands, north of Palawan, Coron is a fishing town and a popular tourism and diving destination, having the most sunken Japanese warships off its coastline. * Sunset at Mt. Tapyas - if you are a photo-enthusiast, do not miss this. They say the view is breathtaking. Higantes Islands and the rest of the Calamianes islands. You've got to trek up though. 718 steps but the view is rewarding. Most people do it early in the morning or evening so it is cooler. * Maquinit Hot Sping - after the trek to Mt. Tapyas, taking a dip here will be refreshing. Soothes your tired muscles and feet. 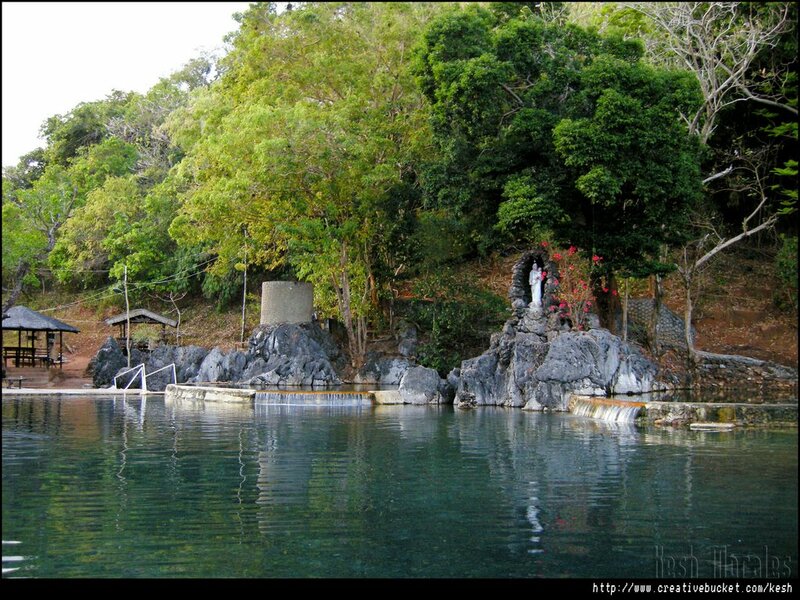 Said to be the only saltwater hot spring in the country. Water here can reach 40degrees celcius. * Kayangan Lake - amidst cliffs of limestone, this lake, said to be the cleanest in the country can be accessed via a trek up the hill. But, the sight up there is just breathtaking. A photo of this lake has become Coron's signature photo. * Siete Pecados - a group of 7 islands, its underwater splendor and rich marine life makes it one of the best snorkelling spots in the area. 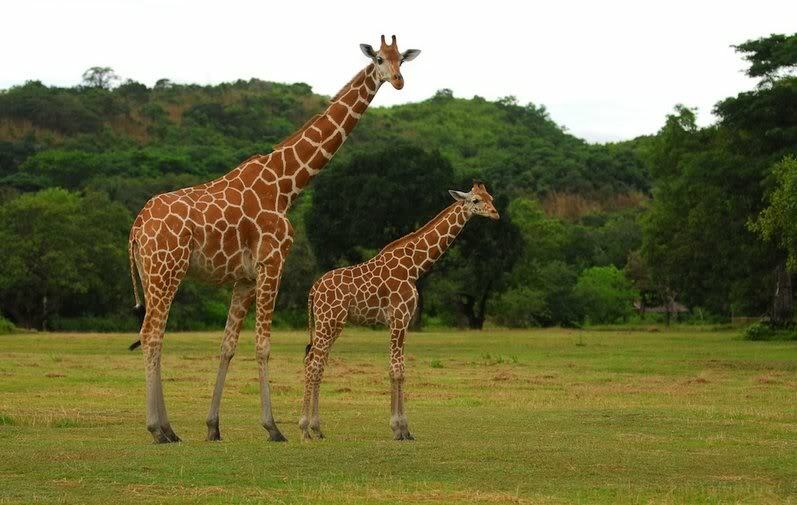 * Calauit Wildlife Santuary Island - home to exotic and endemic species of animals that roam freely in its verdant hills and plains, it is Africa right at our doorsteps. Be there during the feeding time of giraffes and experience feeding one. Who knows, you just might be feeding "Binoy" himself (or is it "itself"?). *...and for the divers?...wreck diving...! Coron is home to several Japanese gun boats that sunk during the WWII. * and if you still have time in your hands, visit the nearby town of Culion - a former leper colony, the town boasts of a colorful history. Marvel at the quaint town and visit its museum, old churches and even the hospital where research on leprosy prevention were conducted and has helped eradicate the disease and where it is now a general hospital serving Culion and nearby towns. How to get there: Most local and budget airlines fly from Manila to Busuanga (Coron) daily. Tours to the above sights can be pre-arranged with most travel agencies or on-site from your hotel's Front Desk or concierge. About an hour away from El Nido Town, Taytay used to be the capital of the province of Calamianes during the Spanish era. A fitting remnant is the 17th century Fort Isabel (Fort Santa Isabelle) that still stands over Taytay's coastline. Although a lesser known tourist destination than its neighbor El Nido, Taytay actually boasts of many sights worth seeing. I have been to Taytay several years ago, but I never got the chance to see much of what it has to offer as we jetted directly to the former Club Noah Isabelle (now renamed Apulit Resort). - Apulit Island - where the 1st class resort is located; permission from resort management is required; beautiful underwater marine life and the rugged limestone cliffs around that is home to the swiflets, the source of the edible nests "nido". 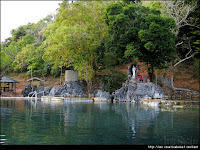 * Lake Manguao - the largest lake in Palawan, it is surrounded by a thickly forested area. A very popular area for birdwatchers. The area is best explored via a small boat as there are no roads along the lake. * Irrawaddy dolphin watching - found in the waters of the Malampaya Sound where the Abongan River empties into the South China Sea. A close relative of the orca, they are said to be close to extinction. The feeling of being on a boat in the Sound is also worth an experience. Mangroves and fish traps on stilts are worth that souvenir photo. * Canique Waterfall - is a 12-meter high waterfall. Hire a motorbike or tricycle to bring you to the place. A great place to swim in its cool water. How to get there: Taytay can be accessed via El Nido. There are flights to El Nido from Manila. Check out Seair (www.flyseair.com). Or you may take the flight to Puerto Princesa but will take you several hours by land to reach Taytay. Nice post. Palawan is still my best dream destinations. This is a comprehensive post. Thank you Diane. Some of the photos are not mine actually but I think I indicated naman the owner's names. Enjoy Palawan! I hope you will love it as much as I do. It is truly fun in the Philippines! 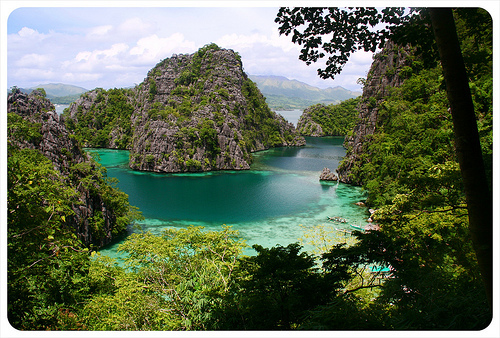 As for me, I can't wait for our trip back to Coron/Busuanga in March. Thanks Chelli. You will not regret visiting this place. Baka nga you will end up living here or buyign a vacation house here. LOL! I am sure you will love the sight of it Paula. 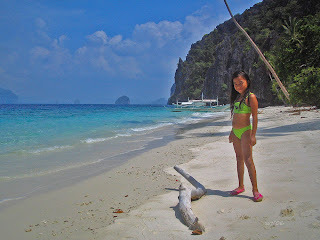 :) Spend a night or two there on your way to El Nido, next time. Go Palawan. Boracay will be closed for 6 months.